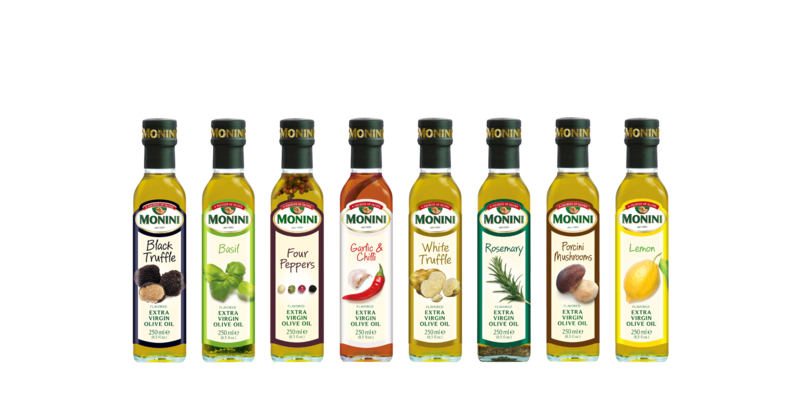 Discover the entire range of Monini products, to be used for all your cooking and dressing needs. 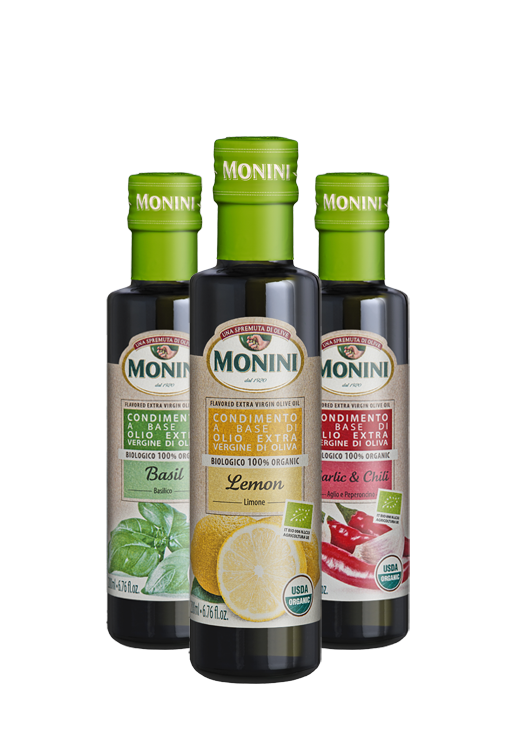 From the Heart of the Monini Family, since 1920. A complete and vast assortment, including Organic: our expertise has produced many extra virgin olive oils from which you can find your own personal favorite. Extra Virgin Olive Oil D.O.P. I.G.P. 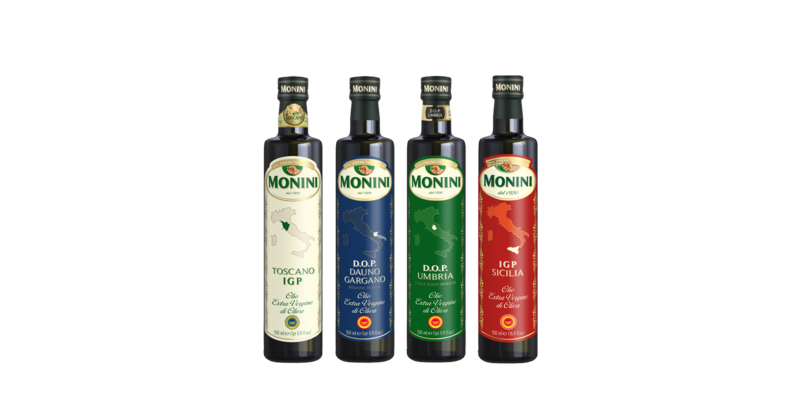 This is a range of typical oils from different regions of Italy obtained from the most precious varieties of olives and characterized by pleasant fruity flavors and fragrances. Their origin and quality have been certified by independent institutions according to the European Union very strict set of rules: both chemical and sensorial. A selection of the best Italian single cultivar extra virgin olive oils. 100% Italian. 100% Organic. Obtained with minimal stress for the olives, picked and processed at the perfect ripening stage. To add a touch of Mediterranean taste, we have added herbs and aromas to our extra virgin olive oils, which can rapidly and easily add a special touch to any dish. Drizzle over finished dishes, or use in marinades and salads. Dedicated to all the consumers who choose to live in harmony with nature. A whole range with 100% organic ingredients: both extra virgin olive oil and aromas come from organic farming. Obtained through the process of extraction from the grape seeds, it is particularly indicated for frying and high temperature cooking for a light and clean finish. A range of wine vinegars from classic to Balsamic Vinegars of Modena I.G.P. Excellent dressing for salads, meat and fish in combination with extra virgin olive oil. 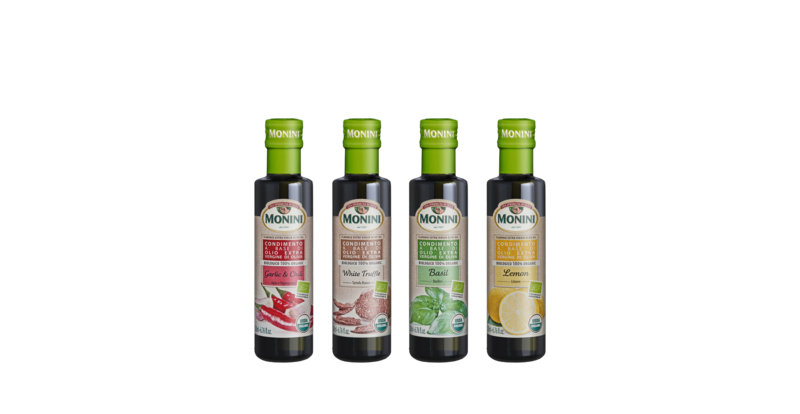 Glazed Balsamic Vinegar of Modena IGP in various flavors to satisfy all tastes without losing the most authentic and traditional flavors of the Italian cuisine. Squeeze it and Enjoy.